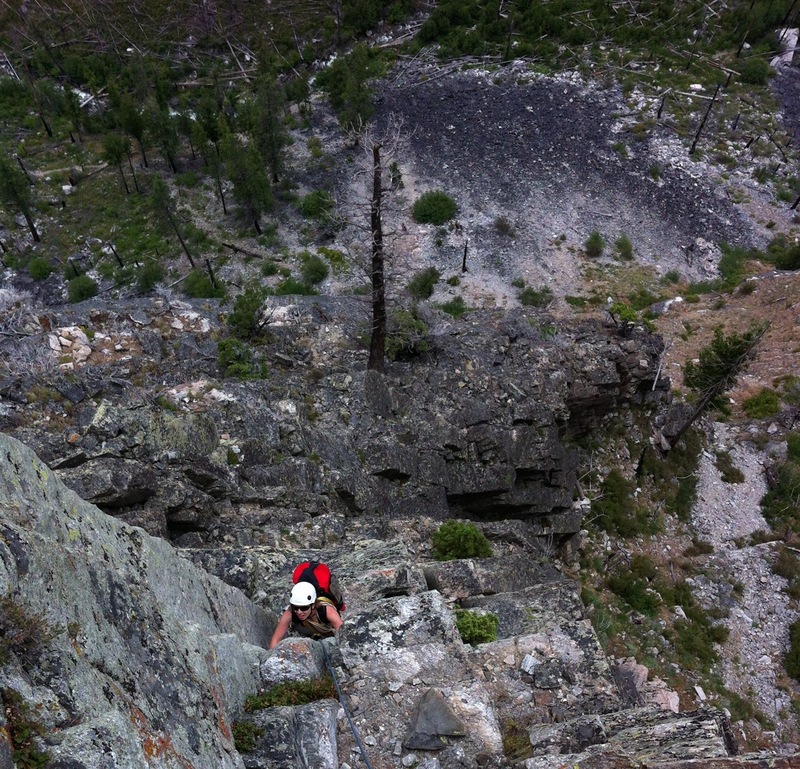 It’s been hot here in Missoula lately, so I’ve been chasing adventures that tend to keep me cool. I haven’t succeeded in not sweating, but I certainly have had a lot of fun. Just as Ramesh and I got back from Glacier National Park last week, my close friend Andy (and his lovely lady Sarah) rolled in from Chicago. They’re out backpacking in the Bitterroot now, but wanted to check out Missoula and catch up before they checked in to the deep wild. We hit the Clark fork in the canoe last Sunday, but the Clark Fork hit us back with some spicy rapids and strong flows. There was no shortage of getting wet, but that also meant there was a shortage of photos. Boats were flipped, a few minor pieces of gear got lost, but the smiles stayed on and we made an adventure of it. One of the rare photos of me and Andy- on the far end of Como Lake. Wednesday night Andy and Sarah were ready to head in, and despite a full on week of work, I made a last minute decision to sneak out with them for a night in the woods. 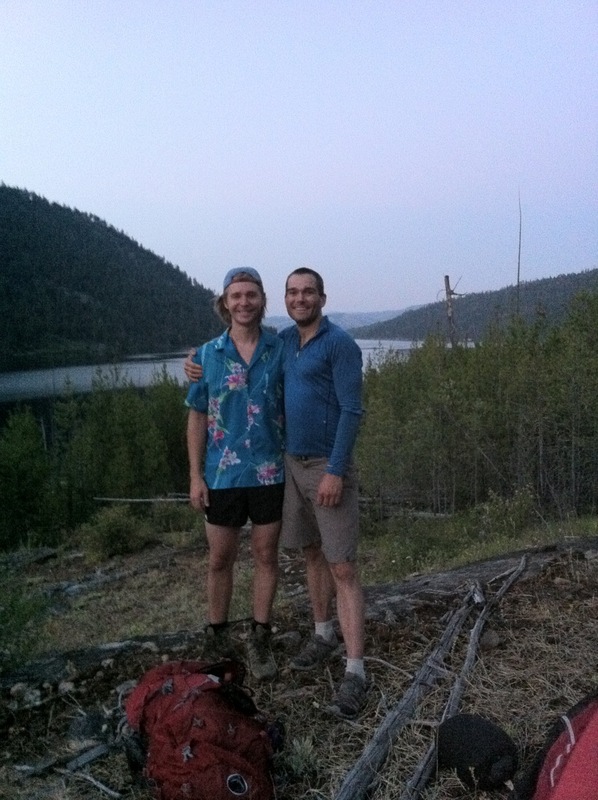 We took off out of Missoula at 530, made a few stops on our way to Como lake, and started hiking around 8pm. 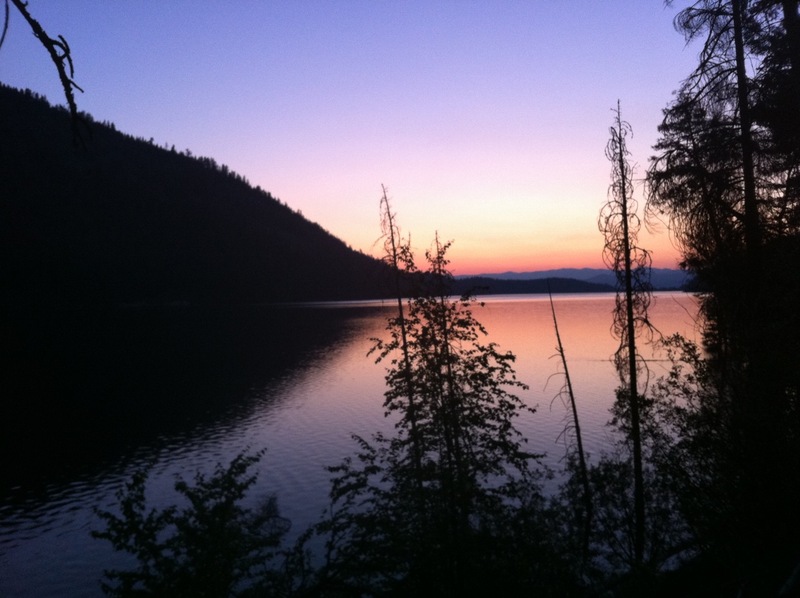 We made camp at 10pm, I slept until 5, and then hobbled as best as I could back to the car to drive into work. It was a long commute that I sincerely did not mind. Saturday I got the climbing itch, bad, and knew I’d be far from adventure activities due to some upcoming work commitments, so I tracked down a partner and headed out for an easy romp up No Sweat Arete (4p, 5.7, II) in Mill Creek. Overcast skies kept temperatures reasonable, and after over a month of being off the rock, getting in a few pitches felt awesome. My right hand is still well injured from tearing a pulley in early June, but my foot is coming back together nicely so mellow terrain was in order. There’s still nothing I enjoy quite like a nice multipitch outing. Jen- figuring it out, backpack and all. 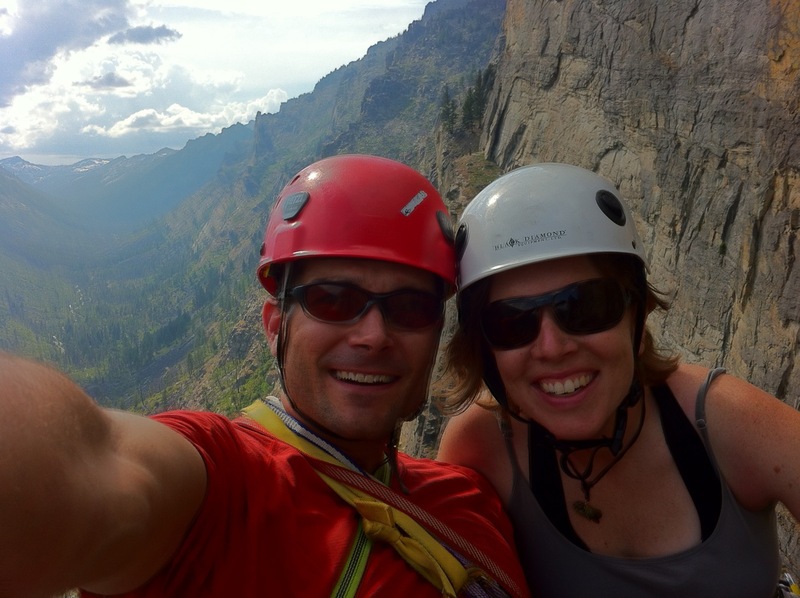 Major props to my new friend Jen for completing her first multi-pitch climb, and carrying a sizable pack to boot. 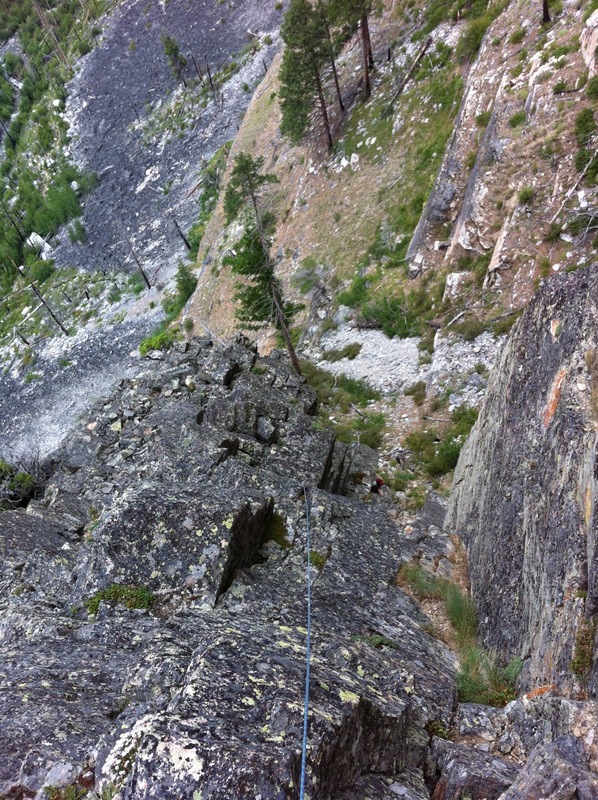 Now that I know the route, we’ll take less stuff next time… thanks for a great day out lady! Still smiling after pitch 4… only one more to go. 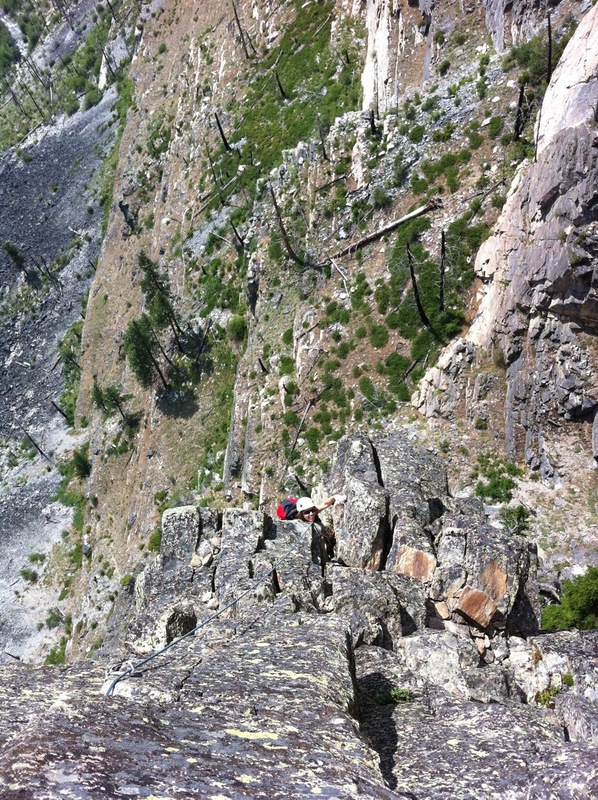 This entry was posted in Montana Experience, Rock Climbing, Traveling and tagged backpacking, canoeing, clark fork river, Como Lake, No Sweat Arete on July 15, 2012 by sticker1.